You’ve sat comfy with a cuppa in front of the telly all afternoon. Then the clock strikes three and oh it’s time to get ready to pick up the kids! Your relaxation time just rolled away as your little, noisy rug rats are back home. You can’t even imagine the chaos all through the evening and the weekend to follow! Fear not, as 888ladies have come to the rescue! 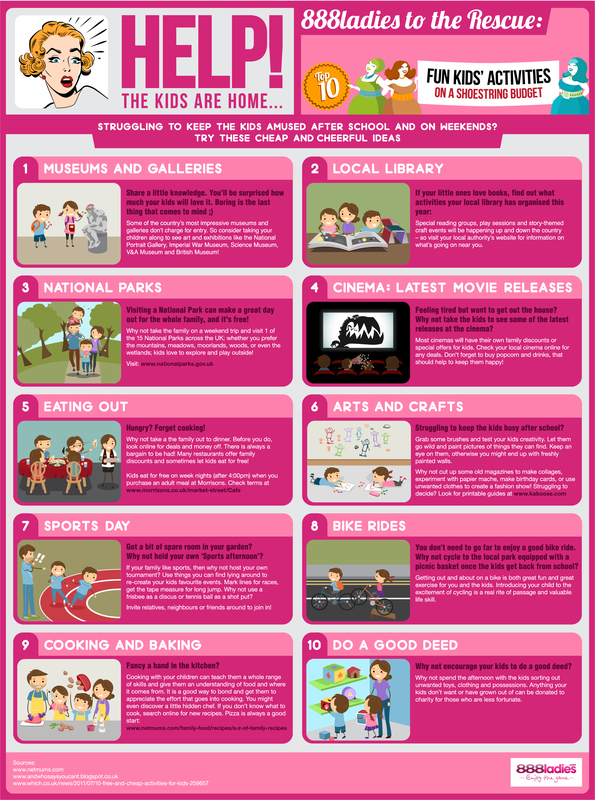 Those brilliant brains at the best online bingo site have chalked up the top ten terrific activities for you and your kids to enjoy together on a shoestring budget! Share These Ideas With Other Mummies on Your Blog!